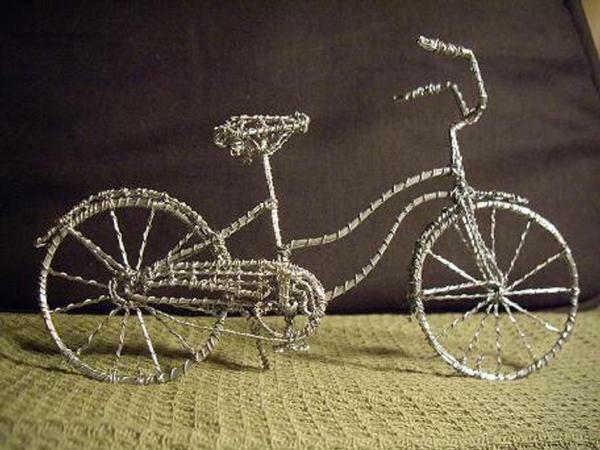 My passion has always been wire. To me, wire is form incarnate. 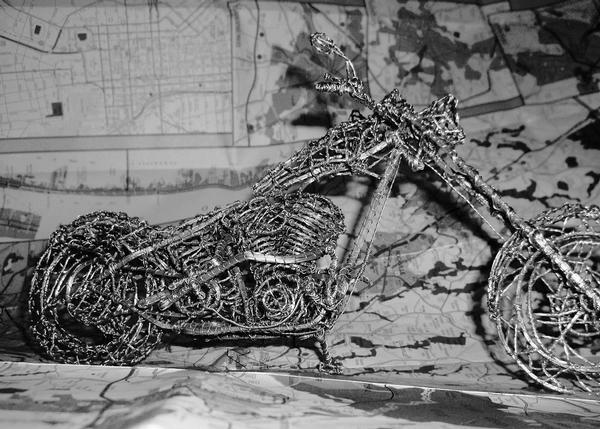 Starting with wire as thin as sewing thread and what I often hear are the patience of Job, because it can take up to a week to complete a project, I create 1-12-inch-high miniature works of art. 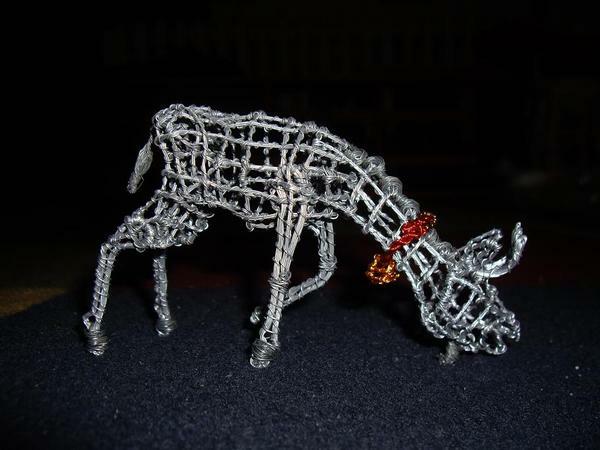 I use individual and sometimes, combined lines of wire to give my work depth and weight. While creating, I feel as if I'm drawing in mid-air. As if my hands were the assembly line at a factory, I patiently work and develop the wire into not so much art, but the subject matter, itself. Using my self-taught technique, I can create a simple monkey hanging in a tree to the most elaborate of cityscapes. Folks often wonder how I know when I'm done. Well, I am the first to view all my new works. So, when I can no longer recognize my medium as wire, I know the project is complete. 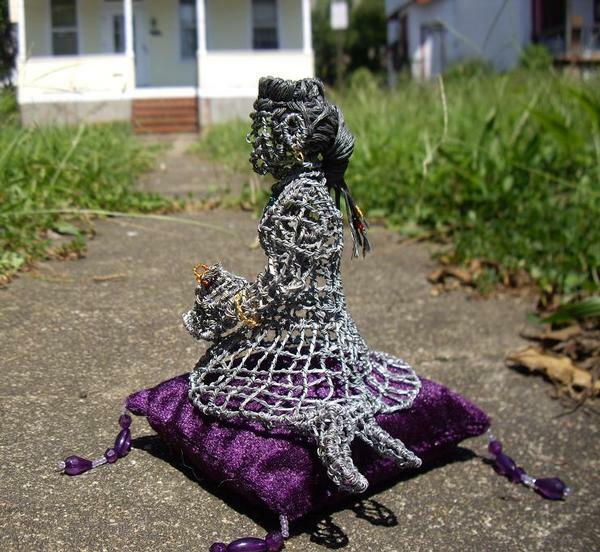 Lonnie Q. Ingram is a wire sculptor, originally from Washington, D. C. and currently residing in Baltimore, MD, where he established his art and design business, Lonnetrix, in 2012. As sole proprietor, he is regarded as an innovator and an inspiration to those who have experienced his work. 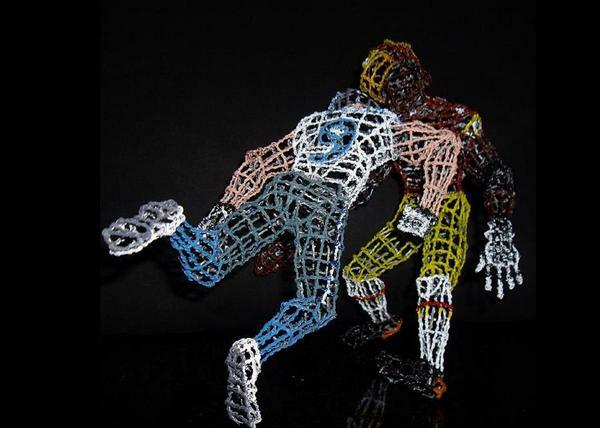 Mr. Ingram is self-taught and uses wire to re-create form. 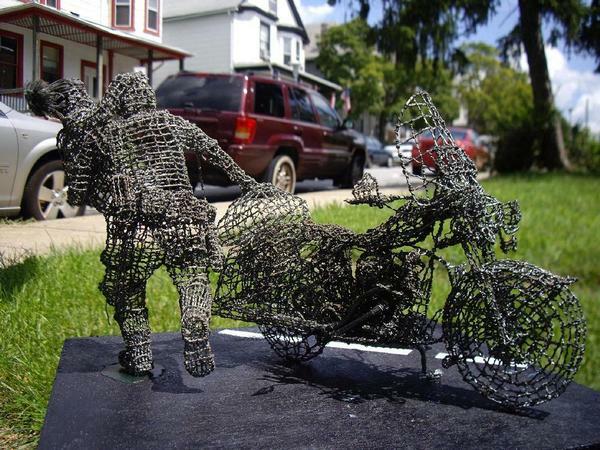 After years of creating wire sculptures, he created his own style, which he dubbed "Lonnetrix." Lonnetrix, similar to weaving with wire, allows Mr. Ingram to combine everyday shapes and guiding lines to create innovative wire sculptures.